MAD TIGER is a feature length documentary that follows two band mates, Yellow (Kengo Hioki) and Red (Kotaro Tsukada), who have been best friends and business partners touring the U.S as part of the performance-art punk band called Peelander-Z for the last 15 years. Peelander-Z produces shows that include audience participation and performances – like human bowling! – that push the boundaries of madcap acrobatic stage antics. Seeking a life outside of the band’s zany shows, Red announces that he will do one final tour before he quits, shocking his friend. Feeling betrayed and abandoned, and trying to separate himself from his character’s super-positive façade, Yellow tries to keep it together, in more ways than one. 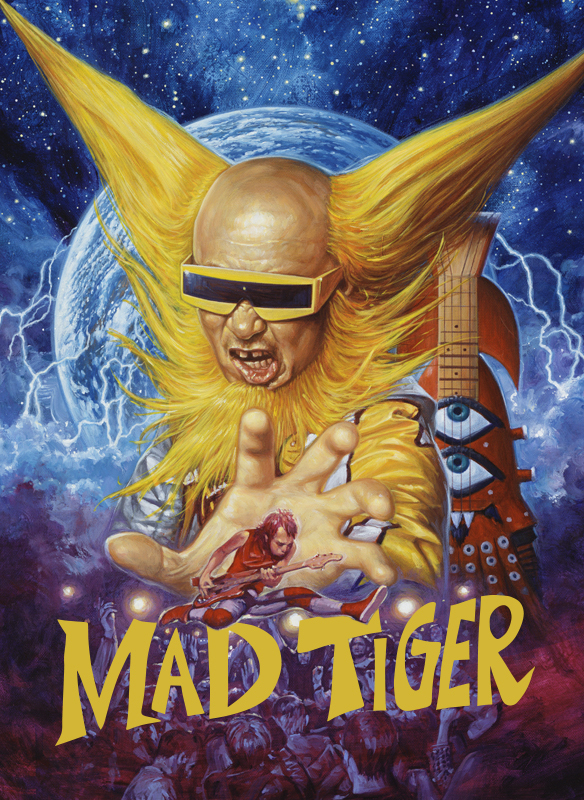 Channeling the universal stories of friendship and the pursuit of happiness, MAD TIGER builds to an unexpectedly moving crescendo, one befitting of Peelander-Z’s cacophonous melody-making, forcing all involved to change and grow. Called a “Japanese Action Comic Punk Band” and based in NYC, Peelander-Z features a different anime-like “Crayola rock” persona for each member, and they must fully embrace this assigned identity in every aspect of life. In addition to Red and Yellow, over the years the band included Blue, one of the original members, Green, Pink, and now Purple, Red’s replacement. MAD TIGER is the first time the band, which has a fervent following and which has appeared in music festivals like Bonnaroo and the Vans Warped Tour, has ever appeared out of costume on camera.